The Fairview Hospital 14th Annual Monster Dash 5K Run/Walk and 1 Mile Walk will be held on Saturday, Oct. 27, 2018 at the Fairview Hospital Outpatient Rehabilitation Building (formerly Condor Chevrolet), 10 Maple St., Great Barrington, MA. Register online before Oct. 25th at berkshirerunningcenter.com. 1 Mile walker entry is $7 per person. Family walkers entry fee maximum is $20. Race day entry fee for 5K is $25. Long sleeved shirts to first 60 5K entrants. 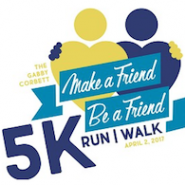 Prizes will be awarded to the top male and female 5K finishers and the top three male and female finishers in each of six age categories as well as a best costume category. Proceeds from the race will benefit the People’s Pantry in Great Barrington, MA. 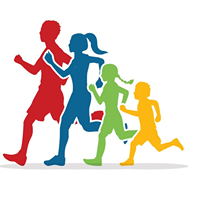 The race is sponsored by Fairview Hospital Recreation Association, Fairview Hospital Cardiopulmonary and Fairview Hospital Rehabilitation Services, Bartlett’s Orchard, Big Y, Taft Farms, Fuel and Berkshire Running Center.